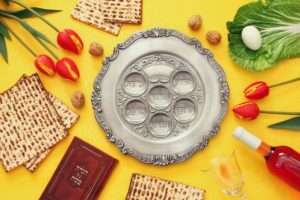 Spend the first night of Passover celebrating freedom at our festive Passover seder. Chazzan Larry Paul and musician Robyn Helzner lead us through a traditional seder, complete with reflection and singing. Appropriate for ages 13 and up. Please contact Kira Doar by Wednesday, April 10 if you have any dietary restrictions.